Canadian Tire Locations 300-202 Veterans Blvd NE Airdrie, 403-948-3993, T4B 3P2. 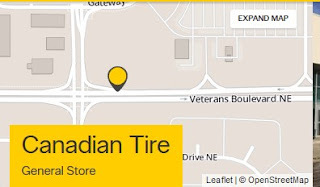 Canadian tire store in Canada such as Calgary, Canadian tire Edmonton, Canadian tire Winnipeg, Canadian tire store, Toronto and more. Find Canadian tire online shopping, also get best prices canadian tire.